AFAIK, the 114M figure is for the 12EU core. 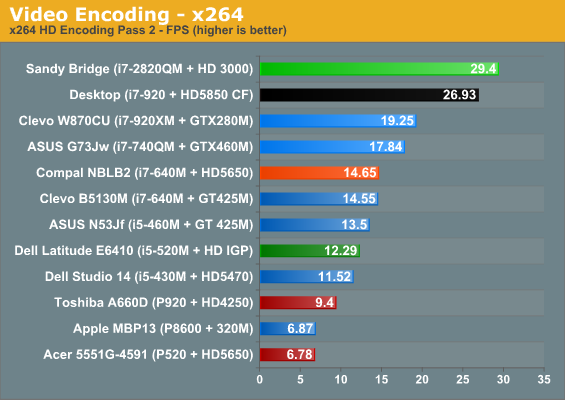 All of the currently shipping SNB chips are quad-core with the full 12EU on the die, but on certain desktop models Intel disables half the EUs. However, if memory serves there are actually three SNB die coming out. 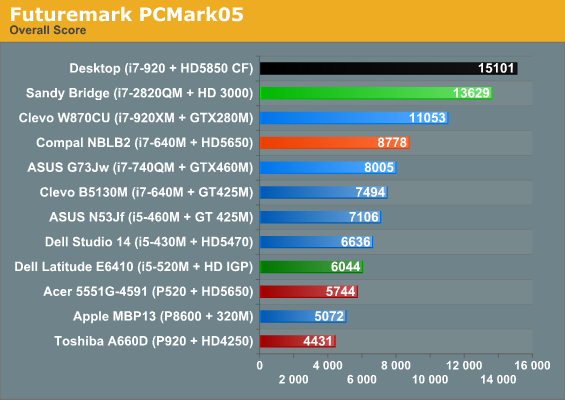 At the top is the full quad-core chip. Whether you have 6EU or 12EU, the die is the same. For the dual-core parts, however, there are two chips. One is a dual-core with 4MB L3 cache and 12EUs, which will also ship in chips where the L3 only shows 3MB. This is the GT1 variant. The other dual-core version is for the ultra-low-cost Pentium brand, which will ship with 6EUs (there will only be 6EU on the die) and no L3 cache, as well as some other missing features (Quick Sync for sure). That's the GT2, and so the missing 120M includes a lot of items. Nice summary (why was this not in the article ?). 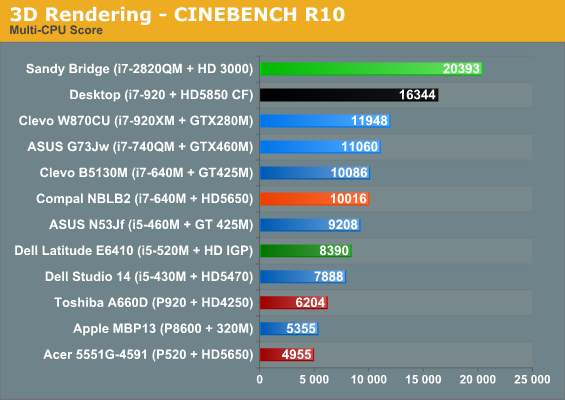 Anyway those 114M do not include memory controller, encoding, display output etc. so the comparison with Redwood/Cedar is not really meaningful. "After all, being able to run a game at all is the first consideration; making it look good is merely the icing on the cake." 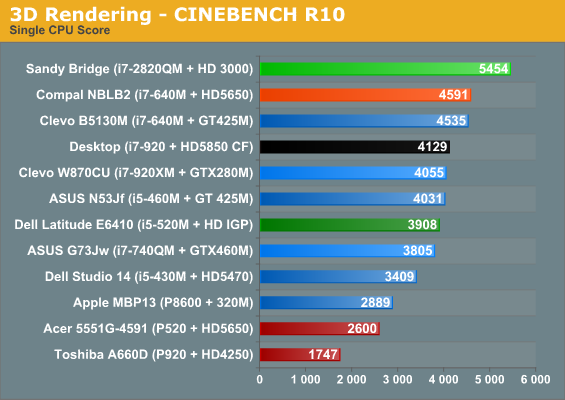 If making it look good is merely icing on the cake, why bother with GPUs ? Lets just play 2D Mines! Regardless the attitude, HUGE thanks for listening to comments and including the older games roundup. While I'd love to see more games that actually provide playable frame-rates (read: even older ones) on SNB-class IGPs like Far Cry or HL2, even this mini-roundup is a really big plus. Anand covered several other titles, and most of the pre-2007 stuff should run fine (outside of blacklisting problems or bugs). Time constraints limit how much we can test, obviously, but your "reviewer on crack" comment is appreciated. 2D and 3D are completely different, and while you might feel graphical quality is of paramount importance, the fact of the matter is that SNB graphics are basically at the same level as PS3/Xbox 360 -- something millions of users are "okay" with. 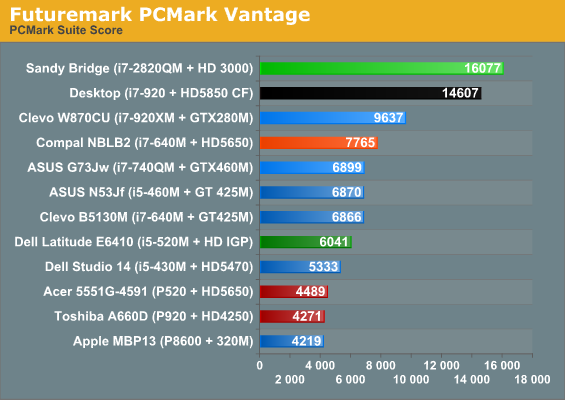 NVIDIA and AMD like to show performance at settings where they're barely playable and SNB fails, but that's no better. 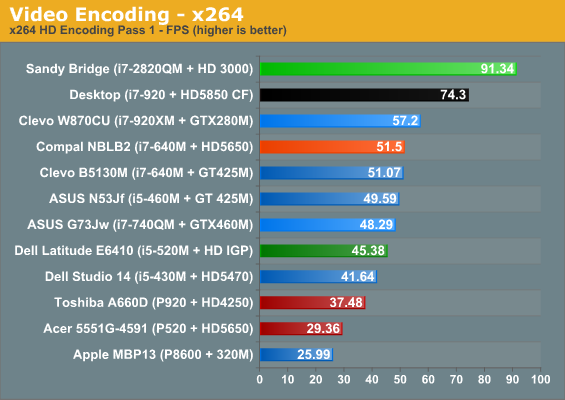 If "High + 1680x1050" runs at 20FPS with Sandy Bridge vs. 40FPS on discrete mobile GPUs, wouldn't you consider turning down the detail to get performance up? I know I would, and it's the same reason I almost never enable anti-aliasing on laptops: they can't handle it. But if that's what you require, by all means go out and buy more expensive laptops; we certainly don't recommend SNB graphics as the solution for everyone.